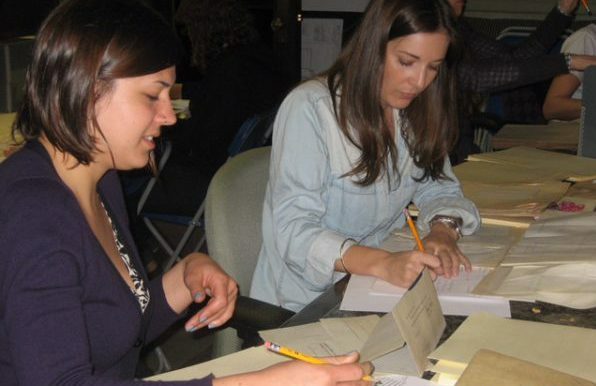 After four years of sorting through the cemetery’s archives, the volunteers are accustomed to deciphering fancy handwriting and decoding orotund sentences. A note from an executor instructing the cemetery to prepare a certain plot for the burial of a widow next to her husband can seem as involved as a paragraph from Henry James or Edith Wharton. Mr. Richman’s research began as a casual project among Civil War buffs in 2002 to identify the graves of about 200 veterans buried at the cemetery. But the historians quickly ventured deeper into archives, requiring the efforts of volunteers from as far away as California and Florida. The team discovered 2,000 graves that were missing, unmarked or severely damaged, and obtained gravestones for them from the federal Department of Veterans Affairs. Calls and e-mails from descendants of Civil War veterans searching for relatives’ remains are received almost every day.